One problem with much of the information on Facebook is that it can turn out to be false, even if the source seems to be genuine. Rumors spread quickly through social media, confusing readers and starting misleading trends. 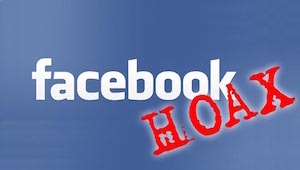 Recognizing that this could be a problem, Facebook announced recently that it has taken deliberate action to allow fewer hoaxes and help its customers fight against disreputable stories before they gather momentum. In the official statement about this initiative in Facebook’s Newsroom, Erich Owens and Udi Weinsberg, a software engineer and research scientist for the business, respectively, said that users can now easily report false news stories with a special button. The algorithms will also track when the hoaxes were reported and respond by decreasing news feed distribution. The Atlantic reported on this new development and included words from an anonymous Facebook spokeswoman, who emphasized the automated nature of these comments. This further illustrates the importance of trustworthy web content. Because this fits with Facebook’s other tactics for stopping spam, it’s more incentive for companies to distinguish their material as highly relevant. Doing so could make it more likely that the material will be shared and valued highly. Automatic marketing systems can be a useful tool in an organization’s efforts to distribute out high quality material. With this increased premium on reliability, transparency is all the more important to make multi-channel marketing efforts work, so companies should adopt a strategy to make their ads clearly distinguishable and something social media users will want to read.